According to the World Health Organization (WHO), as much as 70% of prescription drugs are counterfeit and have been responsible for thousands of deaths in some of the world’s most impoverished nations. The Center for Medicine in the Public Interest (CMPI) estimates the counterfeit drug industry at over $75 billion and expects it to grow 20% annually in the coming years. 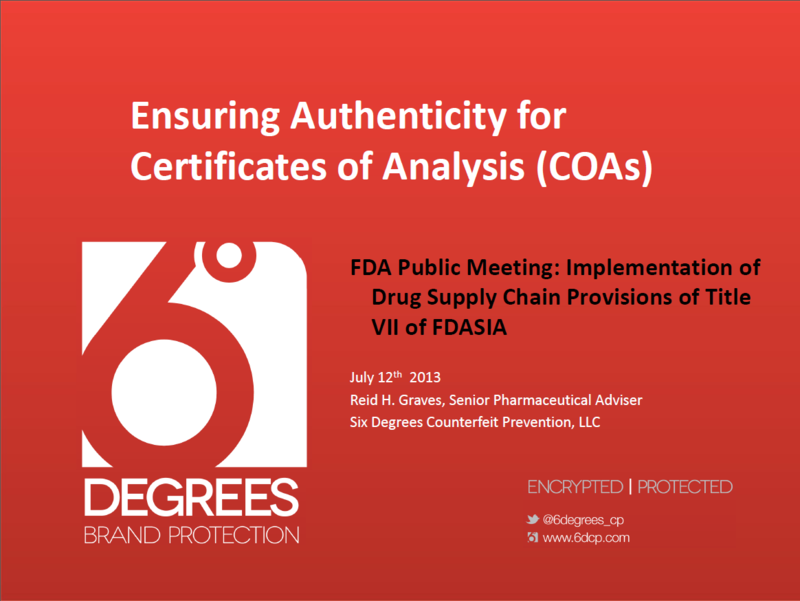 According to CNBC, counterfeit pharmaceuticals are undoubtedly a billion-dollar industry, though some estimate it to be much larger.6DCP’s solution goes far beyond anti counterfeiting by complying with the GS1 regulations as well as ePedigree and serialization initiatives. Every case, box, bottle, blister, or pill itself may be protected and then traced all the way to the consumer. If a consumer gets a hold of a product without an encrypted 2D barcode, they will rightly assume it to be a counterfeit. Once the consumer scans the product, instantly they will be able to verify it’s authentication. They will see intended destination for product, expiration date, name of medicine, and other relevant information the pharma company would like to provide. This way, medicine packaging cannot be altered to show falsified information or labeling. Medicine cannot be repackaged if every pill has it’s own unique barcode on it guaranteeing its authenticity. With 6DCP’s technology, consumers can be sure of the legitimacy of their medicine. Reid’s 10 minute (approximately) presentation begins at 1:24:21/1:55:47 in the timeline.